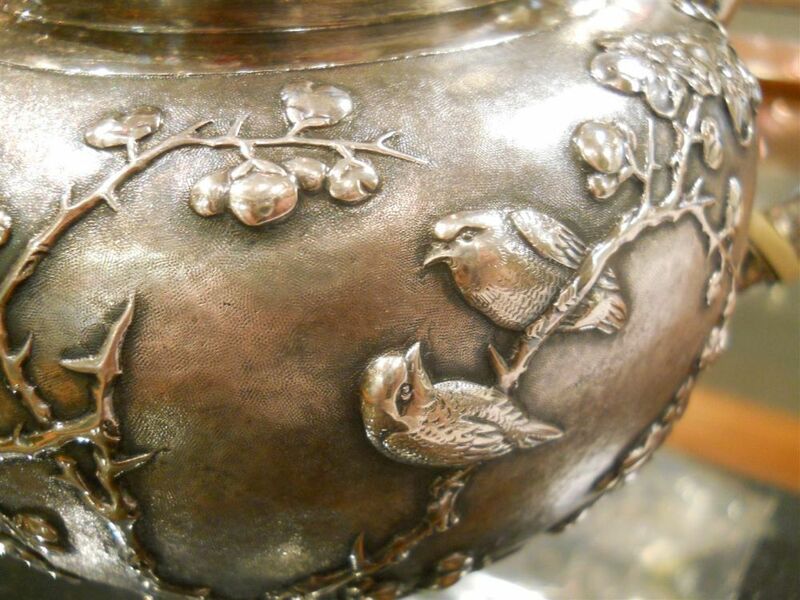 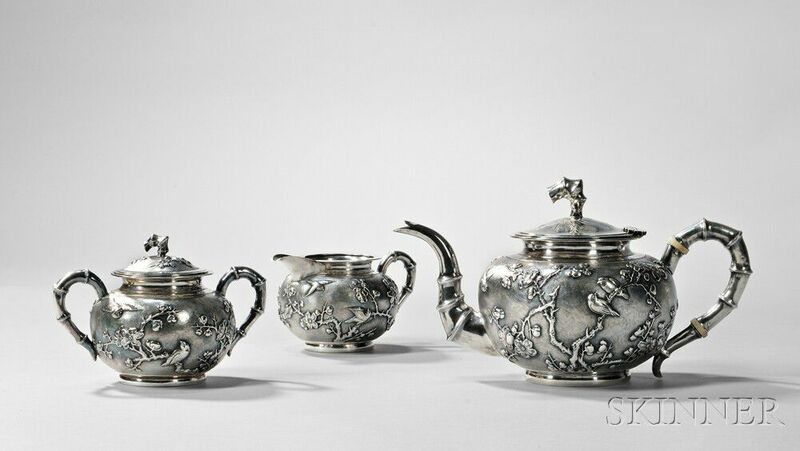 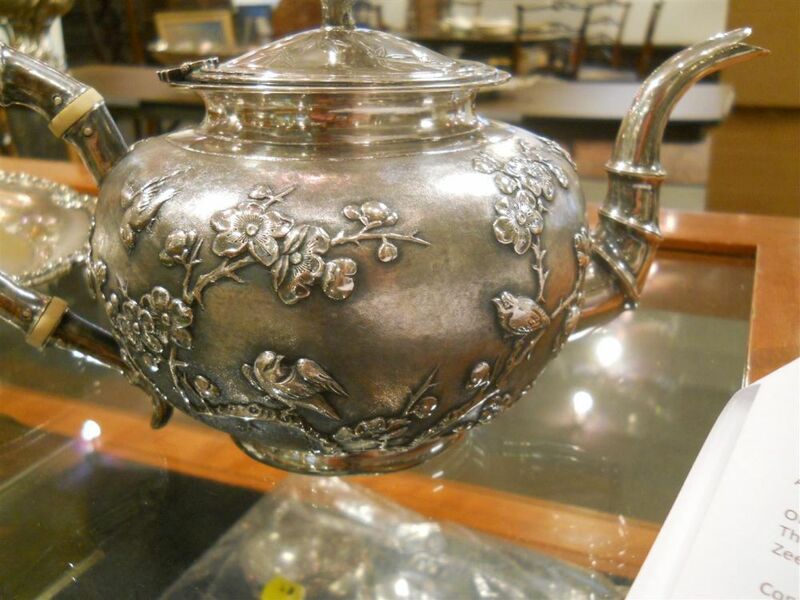 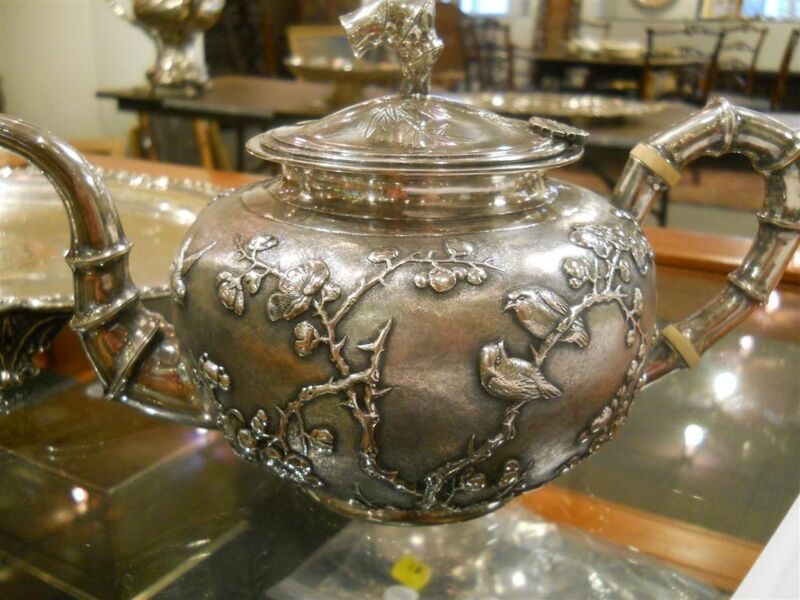 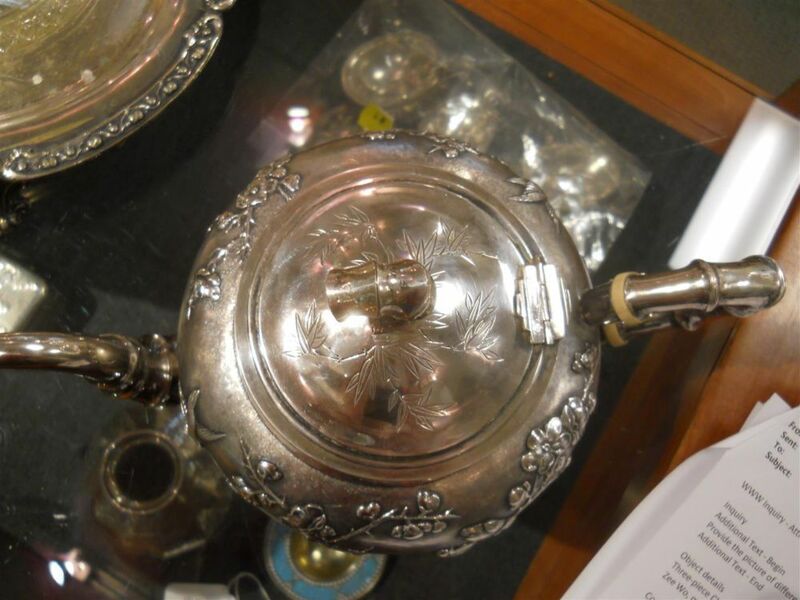 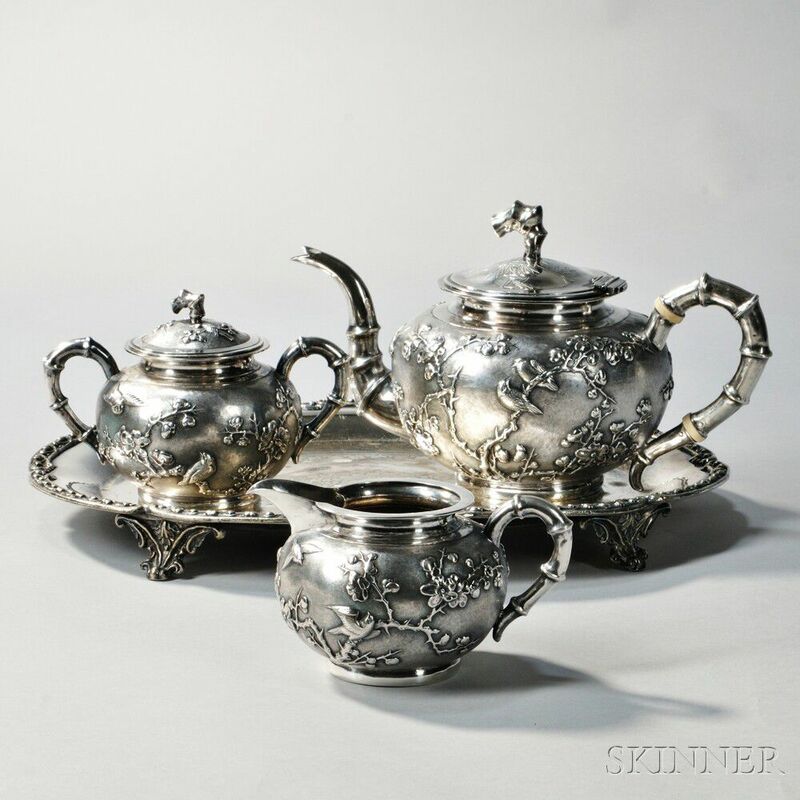 Three-piece Chinese Export Silver Tea Service with Associated Silver-plated Tray, Shanghai, late 19th/early 20th century, Zee Wo, maker, each squat form, with bamboo-form handles and birds amongst cherry blossoms to a chased ground, teapot ht. 5 1/2, approx. 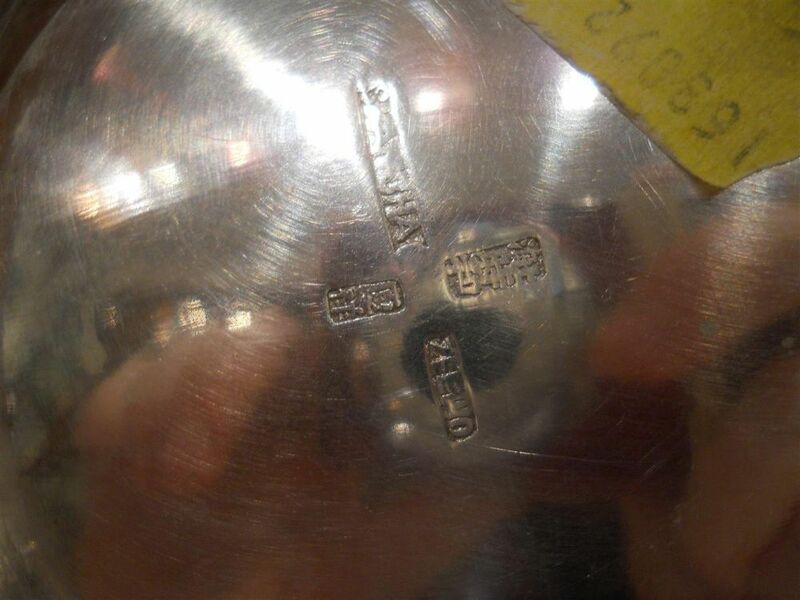 34.0 troy oz., tray lg. 13 3/4 in. 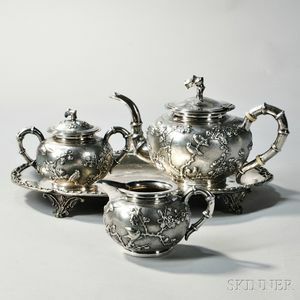 Tea service in good overall condition with only very light surface wear (detail to surface still quite crisp). 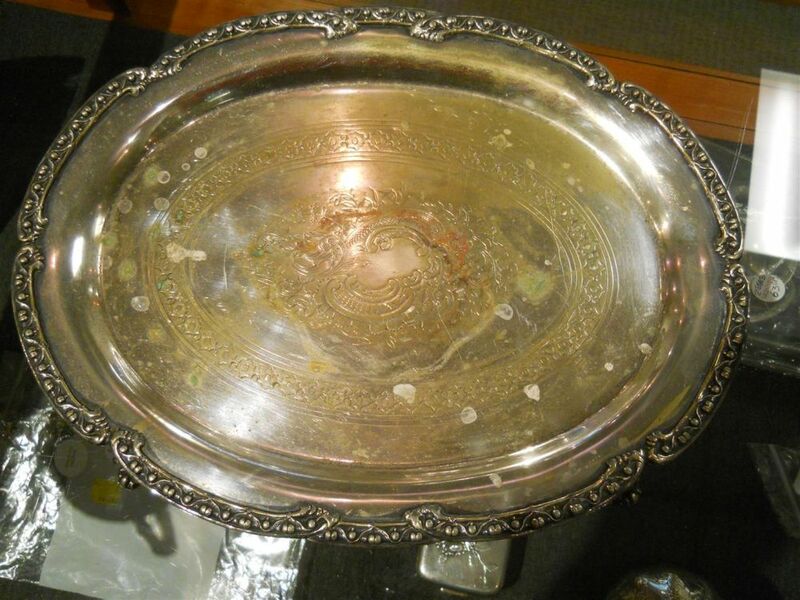 Tray with wear to plating, scattered spots of verdigris and abrasions.